Kasia Jacquot - Textile Folk Artist: Polish folk art on Sydney streets. 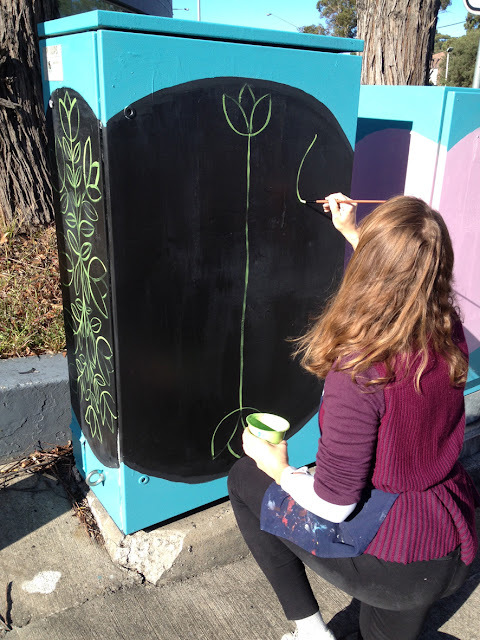 Wow, I love it how beautifully you have embellished these electricity boxes on the street. I wish we could have Thema in Germany as well. They are fantastic! Danke schon Stefanie! What a lovely comment. I also wish these could be decorated all over the world. We have a lot of them in Sydney and it's wonderful to see so many artists works all around the city.